We are engaged in manufacturing and supplying a wide range of Canvas Tents, which is the screen or flex printed outdoor canopy tent. These are extensively used for varied purposes have aluminum or MS frames. 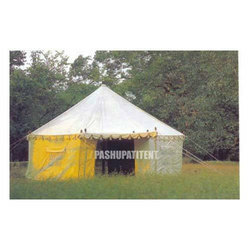 Moreover, we can also custom built these strong and versatile tents as per clients’ variegated requirements. We hold expertise in offering a wide range of Burj Tent to valuable customers. 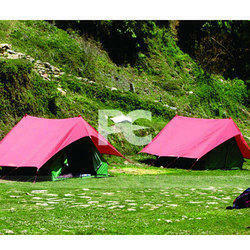 These tents are widely acclaimed for their waterproof canvas and traditional prints. Our product can be custom designed as per the requirements of our valuable customers. These products are available in various shapes and sizes as per the specifications provided by our valued customers. Driven by an intense desire to attain maximum customers’ satisfaction, our team assures effective and timely delivery of these products.